In Loving Memory of my Mom, Barbara Gail Williams. Cause' you are the wind beneath my wings. 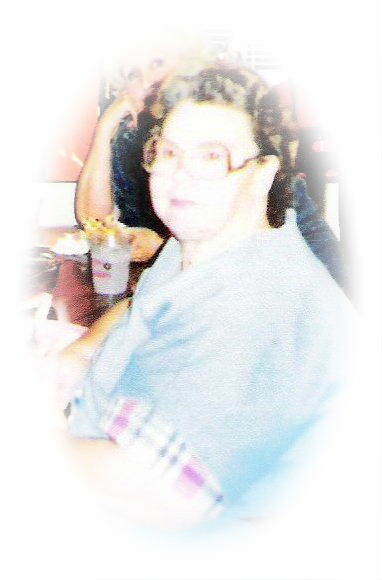 This page is dedicated to my wonderful, beautiful mother who passed away on Dec. 11, 2004. I will have to say that when I lost my brother a year prior to my mother's passing, I thought that was the hardest thing that I have had to deal with, boy was I ever wrong. Losing a mother would have to top that. My first question to my friends and my brothers was, "How do I live without a mother?" I had no idea how to even begin this process. My mother was my Best Friend, and I don't use that term loosely. She was literally my very Best Friend. We spent hours and hours together each and every week. We would shop, eat lunch together, go to the movies, church, or just rent some good movies, climb up in her big king-size bed with popcorn and drinks and enjoy our time together. I went to my mother for everything under the moon. If I was sick, or one of my children were sick, she was the first person that I would call to pray with me that God would heal us. She would always tell me that GOD heard my prayers as well, but there was just something about my mothers' faith that was never failing. You would have had to known my mother to truly understand that statement. My mother suffered from congested heart failure for many years before she passed away, and never once in my 31 years of life did I ever hear her complain. Family and friends would tell you the same thing. Even in the end, she never complained about her illness. On Oct. 29, 2004 - I received the phone call from my mother that I had been dreading. She had went to see her heart doctor that day, and he had told her that she was looking at about 3 months left to live, possibly less. He no longer wanted her to come into his office and would be calling in Hospice to take care of her from then on out. When she called me to tell me that she wanted me to come over after work because she needed to talk to me, I could hear in her voice that something was wrong. I asked her what was wrong and at that moment she started crying and told me that she did not want to tell me at work. Well, for those of you who know me, I don't have patience :) and could not wait. I begged and she told me. I asked to leave work early and met my brother at her house where she informed him of the same information. I immediately started praying for God to heal her and give her a new heart for I was not ready to lose my mother. I spent every night for the next two weeks after that crying myself to sleep, and praying non-stop and calling everyone that I knew to pray along with me. Finally one night while sitting outside on my step, where I would sit often so that my children wouldn't see me crying, I was praying, and it hit me. Here I was praying for God not to take my mother, when I should be praying that His Will Be Done. If he decided not to heal her on this side, then he would heal her in Heaven. I then started thanking him for every single day, minute, and second that I was given with my mother, and to please not let my mother suffer. The nurses came in several times a week in the beginning and every day in the end, and they took wonderful care of my mother. I would spend as much time as I could with her including spending the night with her. Just laying in the bed next to hers was wonderful. She would look at me and tell me that she just wanted me to know that I was a wonderful daughter. I would cry in silence so she would not hear me. From the time that my mother was informed that she didn't have long to live, she spend every night in the beginning writing letters in which she gave to me to give out once she was gone. There were so many, including one that she had written to our pastor. What a wonderful woman she was. much I loved her, and how great of a mother she was to me. I thanked her for being a wonderful grandmother to my children, a wonderful friend, I thanked her for putting my hair up in piggy tails when I was 5 years old and I hated it, she just smiled at me. The Friday night before my mother passed away was the very last time that she talked to anyone. She asked me if we had anything to eat because she was hungry. That last week, she wouldn't eat hardly anything and the nurses informed us that was normal for someone in her condition, so for her to ask that was wonderful. After she was done, I gave her some water through a straw, cleaned her face up, and laid my head next to hers. I said, "Mom, do have any idea how much I love you?" She said, "I Do Love You Shyelisa." She closed her eyes and went to sleep. Those were her very last words to me. The following day, she didn't speak a word to anyone, and really didn't wake up, and passed away at 8:05pm that night. My mother passed away peacefully in her own bed, in her own home, with her sisters, husband, son, and daughter by her side. Just the way that she wanted it. I laid my head next to hers, and held her hand and just cried and cried. She was in Heaven, and was no longer in any pain. She was for once in many years running, laughing, able to breath and didn't have any pains in her heart because she was healed finally. I can remember looking at my brother and saying, She has a new heart now Jammie. As much as I tried to prepare myself for my Mothers' death, there was no preparing for the pain that would follow. As happy as I am knowing that she is in Heaven, the pain does not go away. How does one live without their mother? This is a question I have yet to answer and have to ask God for Guidance each and every day. 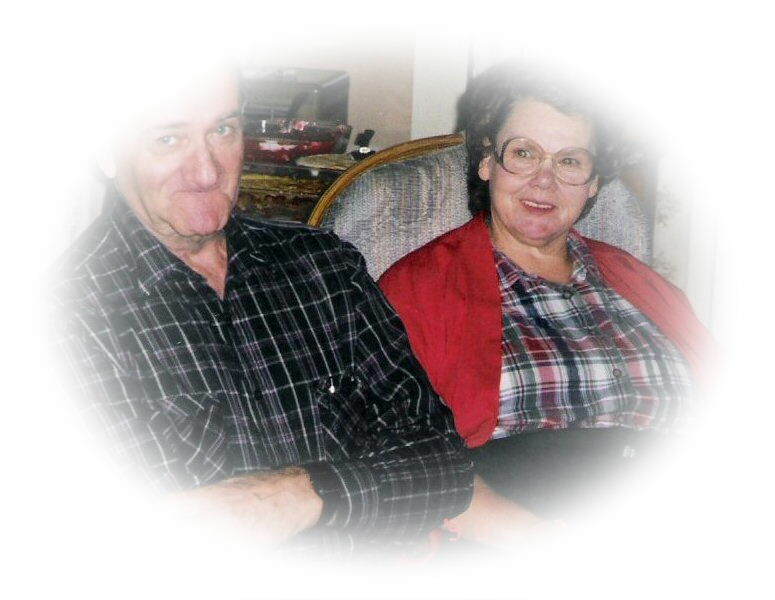 I created this Website for Shy on March 20th 2005, in Loving Memory of her very special 'Mom and Brother'. Shy came into my life only recently, two strangers meeting, living on opposite sides of the world. Distance has no barriers when Friendship is encountered... Shy is one of the most special people in my life today here in England.